There is a scene in the Lord of the Rings where Frodo, Sam and Gollum need to traverse the Dead Marshes. These almost impassable marshes had been, an age before, the theatre of a bloody battle during the last alliance between Elves and Men, when the forces of Mordor were first defeated. The corpses of the fallen soldiers still lingered in the water, amid will-o'-the-wisps enchanting the travelers and luring them to join the dead form eternity. It is said that Tolkien imagined the Dead Marshes based on his horrific experience during WWI, and in particular the battle of the Somme where he witnessed the corpse of his dead companions languishing in the mud. The photo above shows the location of another crucial battle that over 2200 years ago almost changed the course of history in the mediterranean. During the Battle of Lake Trasimeno Hannibal executed the largest and most successful ambush in history, and delivered one of the most devastating defeats ever suffered by the Roman Republic. It is a story worth telling. In case you forgot, Hannibal Barca was the greatest general in history, still studied and admired in present-day military academies (WWII general Patton believed he was the re-incarnation of Hannibal, go figure). He was the leading carthaginian commander during the Second Punic war, when Rome and Carthage battled each other for the supremacy in the Mediterranean. In one of the boldest military actions ever recorded, Hannibal crossed into Europe through the strait of Gibraltar, traveled through Iberia and Gaul (modern day Spain and France) and finally crossed the Alps into Italy, with an army of 37,000 infantry, 8,000 cavalry and 37 war elephants. The Romans, that had planned to battle the Carthaginians in Iberia, were taken by surprise, and suffered a defeat in northern Italy on the shores of the river Trebia. With that victory Hannibal was free to march south unchallenged, and the desperate Romans struggled to raise a new army to stop the carthaginian general before he could reach Rome. 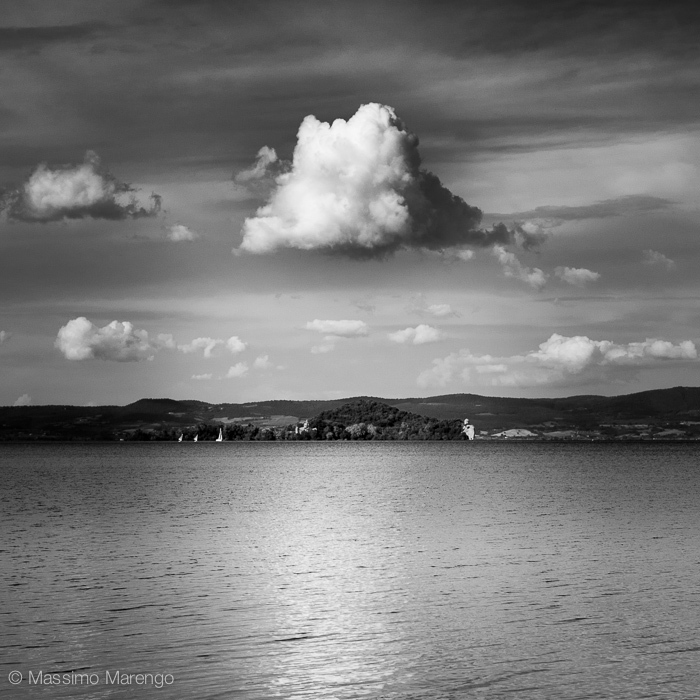 A 100 miles north of Rome, Lake Trasimeno was the location chosen by the roman consul Gaius Flaminius to engage Hannibal's army. It didn't go well. Flaminius's pride led him to a rush attack, against the advice of his generals, in an unfavorable location between the marshes bordering the lake and the hills behind. Hannibal in fact provoked this turn of events, by sending a small portion of his forces to skirmish with the romans, attracting their vanguard away from the main infantry. As soon as the roman forces were divided and dispersed in the narrow corridor between the marshes and the hills, the bulk of the carthaginian forces attacked from their hiding positions in the heavily forested hills. The result was devastating for the romans, with the total annihilation of their 30,000 strong army, against 2,500 carthaginian losses. The victory gave Hannibal the undisputed control of most of Italy, with the romans resorting to a war of attrition trying to slow down the inevitable march of the carthaginians on their city. It also opened the stage for the battle of Cannae the following year, when Hannibal delivered an even more terrible defeat to the Romans, causing them to despair to the point that they resorted to human sacrifice to plead the favor of their gods. In the end it was Rome who won the war. Hannibal after Cannae didn't take immediate advantage of the situation and let the romans enough time to rebuild yet again their home army. Hannibal was ultimately defeated by politics, recalled to Carthage before he could finally conquer the romans. A battle in Zama, in the North African coast, sealed the fate for Carthage. Unable to continue the fight for the supremacy in the Mediterranean, the city had to accept an onerous peace treaty. Hannibal after the war had a second career as Carthaginian politician and statist, until he was eventually forced to exile by the romans, and died by poisoning himself to avoid surrending to his mortal foes. He left behind a suicide note, saying: "Let us relieve the Romans from the anxiety they have so long experienced, since they think it tries their patience too much to wait for an old man's death". If you travel now in the area where these battles were fought, you won't see a trace of the bloodshed. Unlike in the Lord of the Ring, the spirits of the dead have long disappeared from the past battlefields, and their corpses have dissolved in the calm waters of the lake. Only some of the toponyms in the area betray their violent past: "Sanguineto" ("Blood River", a small stream entering the lake), "Ossaia" ("Charnel House"), "Sepultaglia" ("Sepulcre"), "Pian di Marte" ("Plain of Battle"), to mention just a few. The area is beautiful, with the green and marbled Apennine mountains providing a backdrop to rolling hills and numerous lakes. The scenery is the one you find in the background of renaissance painting, behind the virgin with the scary god-child and the lady with the funny smile. It is a place I have enjoyed many time to wander about, from one hill to the next, around hairpin curves and gentle slopes covered with wheat. These days, traveling through this region evokes peace, and not terror. 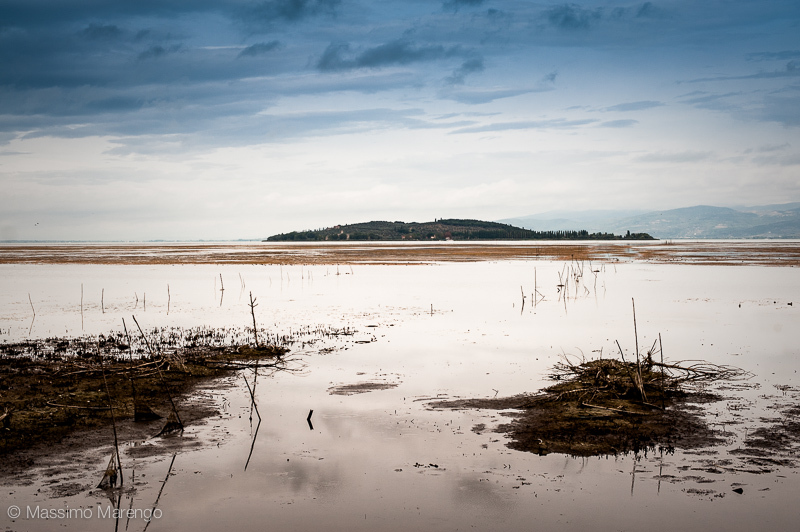 We may never be completely beyond our worst homicidal instinct (the same Lake Trasimeno was the site of a capital battle during WWII, two millennia after the fight of Hannibal and Gaius Flaminius) but, at least for some time, we can relax staring at the mirror-like surface of the Lake, without being enchanted by the ghosts of a violent past, Mordor exiled from our mind and our heart.